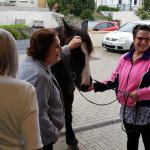 Ruth, one of our residents at Donnington House in Westward Ho! celebrated turning 100 years with a big birthday party at the home. 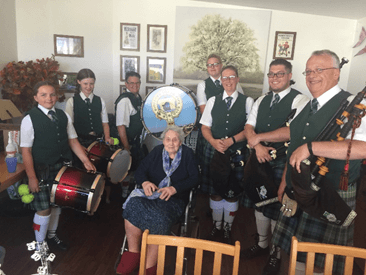 Friends and family gathered together to enjoy live music from Bideford Massed Pipe and Drum Band - a real treat! Ruth loved receiving a letter from the Queen – all in all an amazing day. Congratulations Ruth!